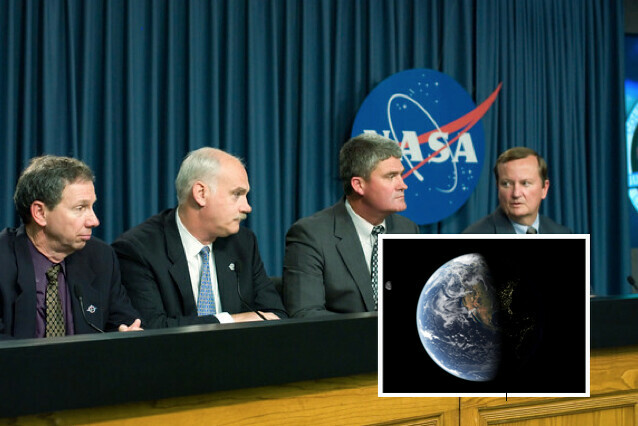 Viral News: There won't be 6 Days of Darkness in December, Nasa Confirms! One of the best things about the Internet is the speed at which it allows information to be shared. Unfortunately, this means all information — even false ones like the news about the six-day darkness that would envelop the world in December. The First Exoplanet was Discovered 100 Years Ago? The article, which harkens to the horror comic book and movie ’30 Days Of Night’ where a small Alaskan town is plunged into darkness and flesh-hungry vampires hunt and attack civilians, but International Business Times reports that the fake news story forecasting impending doom is actually a hoax. The bogus report published on satirical sensationalist news website Huzlers read, “NASA has confirmed that the Earth will experience 6 days of almost complete darkness and will happen from the dates Tuesday the 16 – Monday the 22 in December. The world will remain, during these days, without sunlight due to a solar storm, which will cause dust and space debris to become plentiful and thus, block 90% sunlight”. The story went viral with panicked and concerned citizens immediately turning to Twitter to voice their concerns over the worldwide blackout. However, the hoax story even drafts in some credible-sounding sources including Nasa chief Charles Bolden, who reportedly warned the public to stay calm. Some users even linked to a (real) video of Bolden talking about “emergency preparedness” — an official-sounding phrase that apparently bypasses common sense to hit the big button marked ‘PANIC’ in the brain. In actuality Bolden recorded the video to encourage US families to think about what they would do in the event of an earthquake or hurricane — natural disasters that are a real enough threat in America. Six days of darkness, if it were to really happen, sounds like a big deal but the story downplays it in the end, noting that officials said that major problems would not arise anyway. A certain Earl Godoy, a NASA scientist, reiterated there would be no problem because the planet could survive on “artificial light” during the event. NASA has not made any official statements regarding this six-day period of darkness descending on Earth. The good news is that this means the world will not be falling into darkness for six days in December. The bad news is that people aren’t very good at separating what’s real from what’s not, liking and sharing the story thousands of times since it first came out on Oct. 25. Incredibly this isn’t the first time that NASA has had to combat a worldwide blackout story as in 2012 a rumour surfaced that the Earth would be passing through a ‘Photon Belt’ causing the planet to be plunged into darkness.